Are aquaponics bell peppers better than any other? In my opinion, the bell peppers that I have grown here over the last year have been the best I have ever tasted. 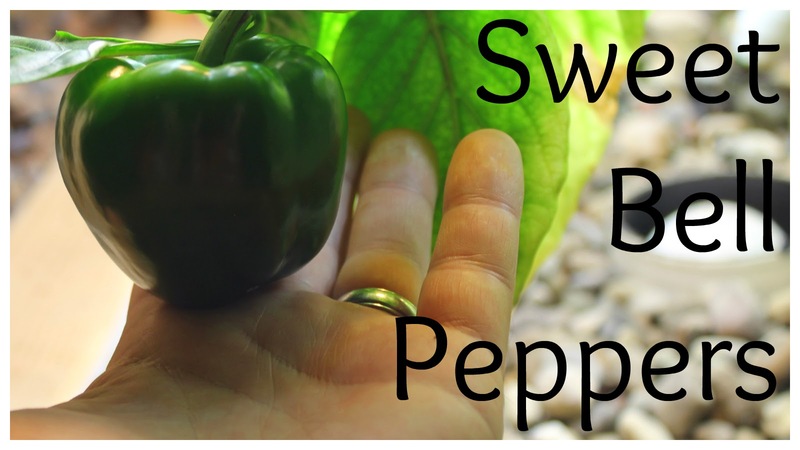 Over the years we have tried to grow sweet bell peppers in our gardens many times and due to the short growing season here in Michigan we rarely got much of a crop. That was one of the reasons I decided to grow them indoors, year round production! I had seen other gardeners overwintering bell peppers in green houses and thought that this would be perfect for our indoor aquaponics system since we would not have to worry about the short growing season. I decided this would be one of the first things I planted in the system when I first got started. Two of the six bell pepper plants that I have currently have been in the system for just over a year and have been producing in cycles ever since. Each cycle they seem to get stronger and stronger and produce more each time. I also added four more plants to the system out of our square foot gardens from last year for them to overwinter in the system. I was planning on putting them outside this summer but have since decided to leave them in full time. During this last round of production I harvested over 30 peppers of various sizes. the largest ones coming from the oldest more well established plants. The plants seem to work in cycles in which they will grow, produce new leaves and flowers, then pollinate and produce peppers. Once they reach maturity the leaves begin to yellow and die back and an explosion of new growth follows. Each time this cycle repeats the production gets just a bit better. I don't know how many years the plants will survive in the system or how production will continue but if things happen hey way they have been we will be harvesting 70-100 peppers per year! We have tried growing many different things in our system here - beans, tomatoes, dill, oregano, kale, lettuce, etc. The Bell peppers have been the most fun to grow, the best producers for us, and they taste amazing! You can pick them before they turn red for a standard green bell pepper. These are great for salads and cooking. You can also let them fully ripen into a bright red sweet pepper for use in cooking or just to eat like an apple. I never though I would see our daughters just eating bell peppers right off the plant but with these they are like candy. We will be continuing to try new plants and experimenting with year round indoor growing so stay tuned for more info on specific plant and production information!